What does someone dealing with a mental health issue look like? They look like your neighbour, your colleague, your friend, your loved one, maybe even you. That’s because in any given year, one in every five Canadians is affected by a mental health problem or illness – meaning you, or someone you know, will be affected. Yet two-thirds of those affected will not seek help due to the stigma that still surrounds mental health. This is why campaigns like Bell’s Let’s Talk Day are so vital in helping reduce this stigma and promote better awareness and understanding of mental health. On January 30th, Canadians – and everyone around the world – are invited to join in the conversation and confront the stigma around mental health. For every social media post, text and call, Bell will donate money to mental health initiatives here in Canada. Since it began in 2010, the campaign has raised over $93 million for mental health initiatives and has helped support over 6 million individuals with access to mental health care. Language matters: The words we use can make all the difference – they can help someone who’s suffering, but they can also hurt and hinder (for example, calling someone suffering from a mental illness crazy). Be mindful when you speak, and choose the words you would like to hear. Educate yourself: Knowing the fact and myths about mental illness can be a great way to help end the stigma. Check out some myths vs facts here, as well as some of these Fast Facts. Be kind: Simple acts of kindness can make a world of difference. A smile, a hug, or an invitation for coffee and a chat can help open up the conversation and let someone know you are there for them and support them unconditionally. Listen and ask: Being a good listener and asking how you can help can go a long way. Sometimes simply being there for people you care about can be the first step in recovery. • Talk about it: Break the silence. Mental illness touches us all in some way, either directly or indirectly. Sharing stories of people who have experienced mental health issues and who are doing well can really challenge stereotypes. Most people with mental health issues can and do recover, just by talking about it. Together, we can help normalize mental illness, and help end the stigma. For more information on Bell’s Let’s Talk campaign click here. OpenMindBC.ca – this website is an information hub to provide access to an abundance of excellent tools and resources developed by a range of mental health organizations in BC and across Canada. 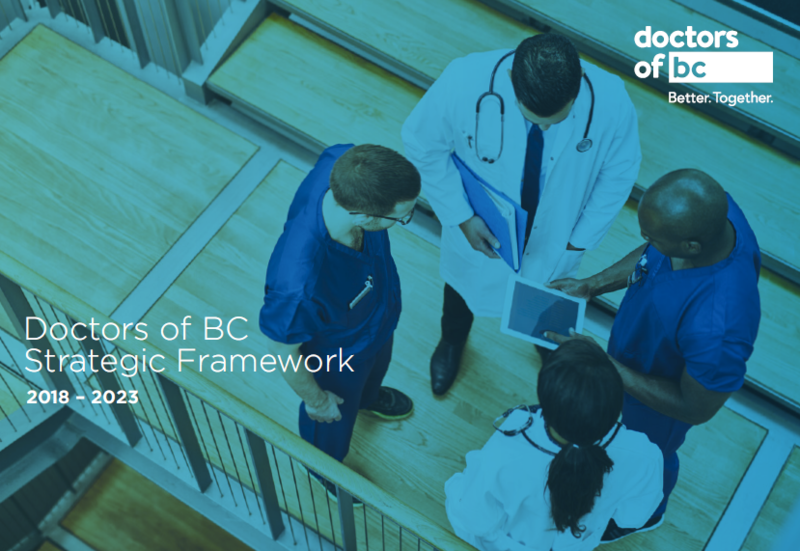 Reaching Out: Supporting Youth Mental Health in British Columbia – this policy paper contains a number of commitments and recommendations which support Doctors of BC’s policy of raising awareness in three areas: youth mental health, how to recognize mental illness, and where to get help when it is needed. The Child and Youth Mental Health and Substance Use Toolbox – A legacy of the CYMHSU Collaborative, this ‘one-stop-shop’ of tools and resources helps improve access and care for children, youth and families facing challenges with mental health and substance use in BC.